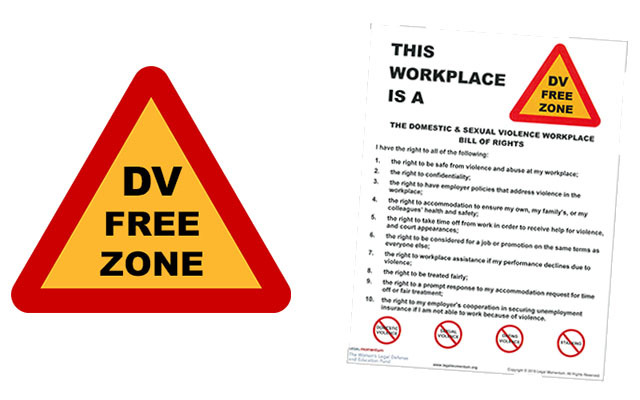 Legal Momentum is calling on all employers, no matter how large or small, to adopt the “This Workplace Is a DV-Free Zone Bill of Rights” and put into place a policy that ensures that victims of domestic violence, sexual assault, dating violence, and stalking are safe at work. On Saturday, August 15, 2015, a diverse group of high school and college students, parents, university administrators and faculty, government officials, parents, activists, and others gathered at a movie theater in Bellevue, WA, for a screening of the riveting documentary on campus sexual assault, The Hunting Ground, followed by a thought-provoking and informative panel discussion of the issues raised in the film. To understand the struggle to get people to acknowledge Black women as victims of homicide and police violence, you need look no further than the last several days. Legal Momentum was front and center in celebrating the signing of New York’s landmark “Enough Is Enough” legislation, which protects students who are sexual assault victims. Why Doesn’t Women’s Soccer Get Equal Play? Just Ask Siri! “Women’s soccer isn’t as fun to watch as men’s soccer.” “Women don’t play as well as men.” “There just isn’t as big an audience for women’s sports.” These are some automatic responses to allegations of gender discrimination in women’s soccer. But these justifications are factually inaccurate. Rather, FIFA and soccer confederations take deliberate active measures to ensure that women athletes don’t receive the same number of fans, equal glory or fat paychecks as their male counterparts.